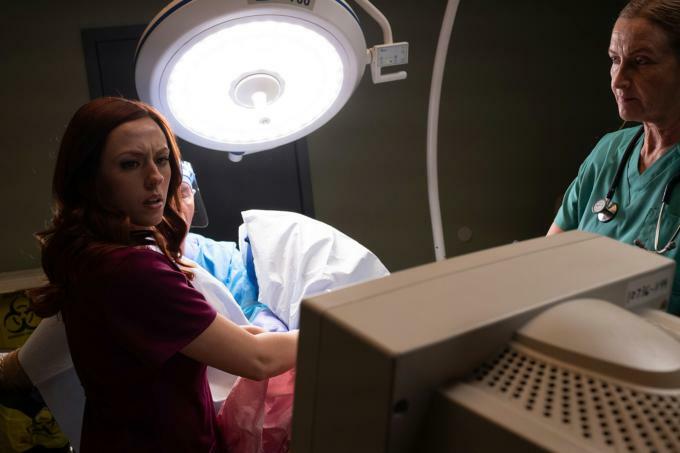 "Unplanned," the story of Abby Johnson's wrenching transition from director of a Planned Parenthood clinic to vocal opponent of abortion, has proven to be a surprisingly popular film, despite its rather grim theme and despite considerable institutional opposition. We stand at a pivotal point in the great moral debate over abortion in our country -- not because new arguments have emerged, but rather because laws so breathtaking in their barbarism have been passed, and a film so visceral in its presentation of the reality of abortion has found a wide audience. As John Henry Newman reminded us, assent to a proposition is rarely a matter of acquiescing to rational demonstration alone; instead, it often has to do with the accumulation of argument, image, impression, experience, and witness. The legal protocols now in effect in New York, Delaware, and a number of other states allowing for the butchering of a child in the womb at any point in his or her nine-month gestation -- and indeed, on the clinic or hospital table, should the child by some miracle survive the abortion -- have sickened much of the country. And they have allowed people to see, in unmistakably clear terms, the full implications of the twisted "pro-choice" ideology. If a mother chooses to bring her baby to term and to be born, that child is, somehow by that choice, the subject of dignity and worthy of the full protection of the law; and if a mother chooses otherwise, even a newborn baby struggling to breathe on an operating table can be murdered and discarded like so much garbage. Biology and metaphysics be damned: our subjective decisions determine reality -- and the result is state-sanctioned infanticide. So obviously insane, so clearly dangerous, so unmistakably wicked are these laws that they are causing many people to reconsider their position on abortion. "Unplanned," the story of Abby Johnson's wrenching transition from director of a Planned Parenthood clinic to vocal opponent of abortion, has proven to be a surprisingly popular film, despite its rather grim theme and despite considerable institutional opposition. As many have pointed out, Mrs. Johnson is playing a role analogous to that played by Harriet Beecher Stowe in the nineteenth century. While there were plenty of arguments on both sides of the slavery debate at the time, many advocates of slavery underwent a conversion to abolitionism, not because of rational demonstrations but precisely through the influence of Stowe's vivid presentation of the concrete reality of slavery in "Uncle Tom's Cabin." So today, arguments and slogans on both sides of the abortion controversy are well known, and most people seem more or less locked in their respective camps. But "Unplanned" doesn't so much argue as show. 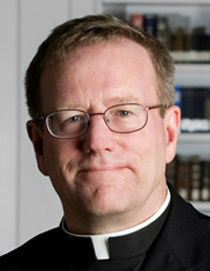 "Abortion" becomes, accordingly, not an abstract issue, but an in-your-face, real, and bloody fact. The film opens with the event that proved decisive for Abby Johnson herself. As director and administrator of a Planned Parenthood clinic, she was certainly aware of what was happening on the premises, but she had rarely been involved in an actual abortion. One afternoon, she was summoned to the operating room and asked to hold the device that allowed the doctor to see the ultrasound image of the child in the womb. As the physician went about his work, Abby could clearly see the child resting comfortably and then reacting violently as a suctioning device was inserted into the womb. To her horror, she then saw a tiny arm sucked off, only to reappear, moments later, as a bloody soup in a catheter next to her. As she watched, unable to take her eyes off of the horrific display, she saw the severely wounded baby continuing to evade the device, until a leg disappeared, then another arm, and finally the baby's head. And again, the remains of the living child surged like slush into the catheter. With that, she ran from the room, vomited in the bathroom, and resolved to dissociate herself forever from Planned Parenthood. The film makes clear that she had heard arguments against abortion all of her life, for her parents and husband were ardently and vocally pro-life, but she made the decision after she saw what it meant to end the life of an unborn child. Her hope, obviously, is that her film will have a similar effect on many others. One of the most memorable scenes in "Unplanned" deals with an odd little party that took place at the clinic after hours. Abby, it turns out, was pregnant, and her colleagues, all female, gathered to give her a baby shower. Out came the balloons, the thoughtful presents, the encouraging hugs -- all meant to show their joy at the birth of a new baby. But then we realize that these medical professionals, these good friends of Abby, have spent their entire day killing the babies of other women. Indeed, the blood of those procedures is on their shoes and scrubs. How is this scene possible? The condition for its possibility is the lunatic ideology of "choice" referenced above: if the baby is desired, let's have a party; if the baby is unwanted, kill him and cast his remains in a dumpster. Pro-choice advocates must know that this is the implication of their philosophy, but "Unplanned" makes them see it.